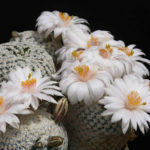 Mammillaria albiflora is a small cactus, usually solitary, globular or cylindrical (clusters of stems can be seen in cultivation). 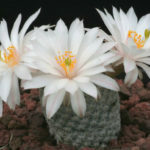 The stem is up to 1 inch (2.5 cm) wide, up to 3 inches (7.5 cm) high and obscured by the spines. 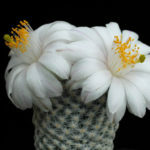 Radial spines are white, fine and interlacing. 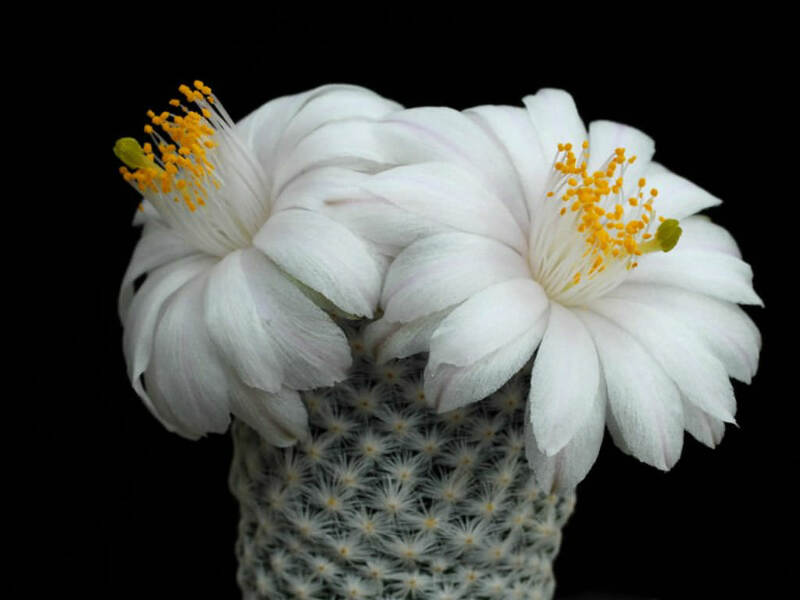 Flowers are up to 1.4 inches (3.5 cm) long and wide, white (rarely with a pinkish flush when grown in full sun). 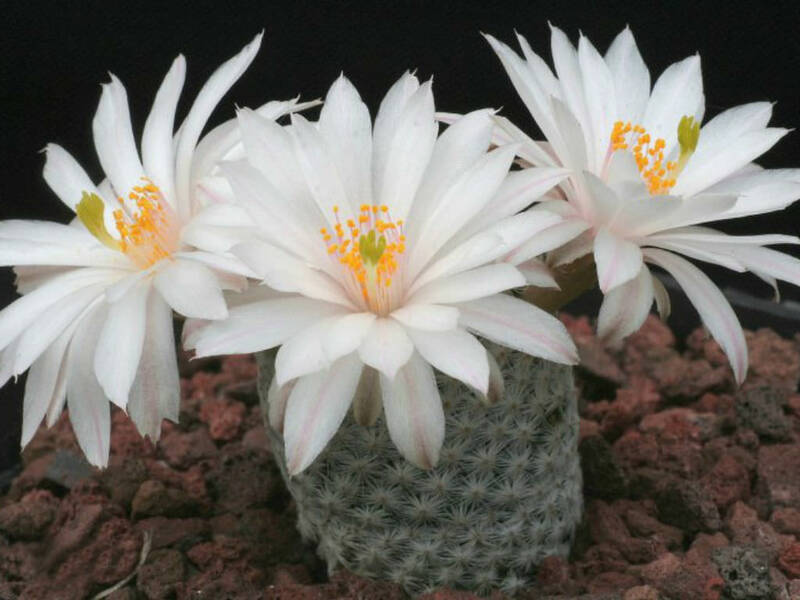 To repot a cacti, make sure the soil is dry before repotting, then gently remove the pot. Knock away the old soil from the roots, making sure to remove any rotted or dead roots in the process. Treat any cuts with a fungicide. 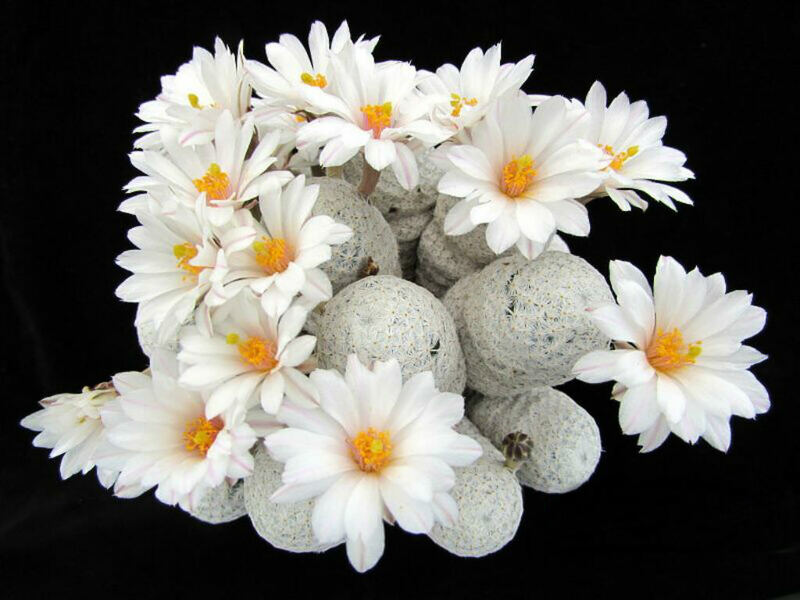 Place the plant in its new pot and backfill with potting soil, spreading the roots out as you repot. 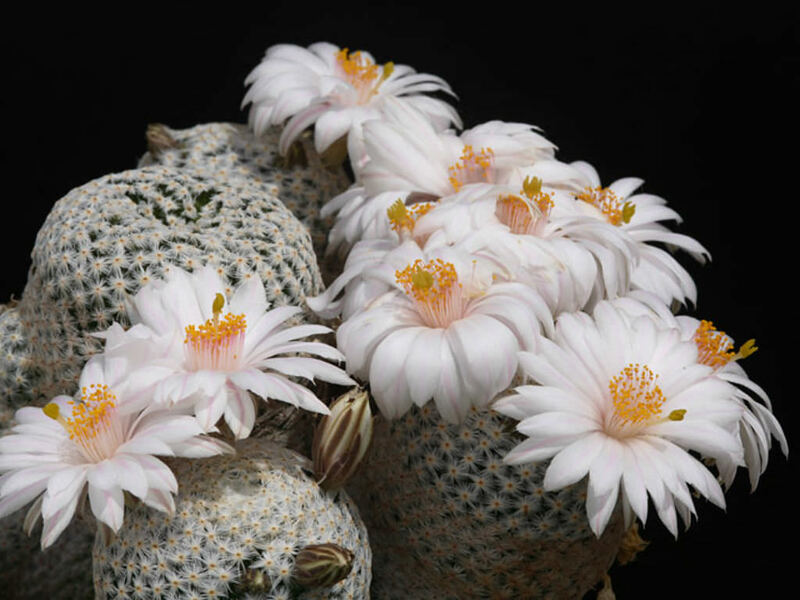 Leave the plant dry for a week or so, then begin to water lightly to reduce the risk of root rot… – See more at: How to Grow and Care for Mammillaria.